Thanks to Jeff Vaughan for the photo of the guy on the unbroken wave that, also, looks like it might not break. Jeff is a longshoreman, loads ships all over Puget Sound, down to Aberdeen. On this day he was working an afternoon shift in Port Angeles. I was the first one out in waves that would have been difficult to catch on a regular long board. The tide was a little too low for the slow-motion-Malibu rights. A little later, though, the tide came up, pushing (I don’t always believe this surfer theory) the swell up a bit. By the time I’d caught a bunch of dribblers, and some other surfers came out, the lefts on the other side of the little bay, totally flat at dawn, were starting to work. Honest. Lined up, spinning, I caught a few before I had to, had to go to work. As did Jeff. But first he took a few shots of waves hitting the outside indicator. Maybe he’ll send those to me. 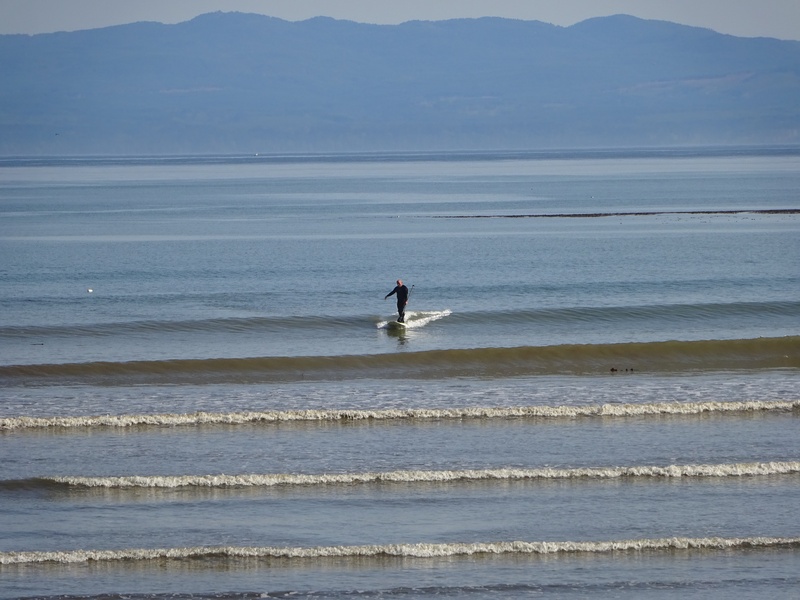 Oh, sorry; if you’ve never surfed the Straits of Juan de Fuca, this is really as big as it gets. Oh, and, I guess Jeff missed my cutback, set up bottom turn, sidestep to the nose. Maybe next time.